Lewis is the founder and Managing Director of Shaw Property Group. A visionary in the property industry, Lewis commenced trading initially in 2007 and has established himself as an honest, respected member of the real estate community with the values of truthfulness and directness being held closest to his chest. 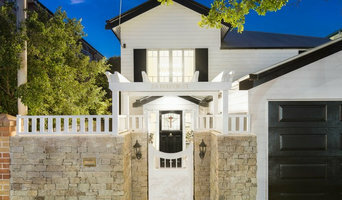 Initially selling multi-million dollar prestige residences throughout South-East Queensland, numerous publications such as Business Review Weekly, Courier Mail and more have written pieces on Lewis, detailing his enthusiasm and uniqueness within the industry, whether it was flying clients to properties in helicopters, establishing an office space in Hong Kong during hard GFC times in Australia to procure wealthy Chinese or producing videos for high end homes with a multitude of never-before-seen props that earned him a place on A Current Affair television for ingenuity. Lewis is passionate about design and personally designs hundreds of millions of dollars’ worth of residential and commercial real estate annually for both his personal portfolio and that of his clients. Predominantly spending his days handling referrals for new business and fostering the existing relationships established for some time, Lewis entrusts his sales team with the majority of day-to-day selling and loves to lend a hand when required. You’ll often find Lewis out of the country on equal parts business and pleasure, on the tennis court, at either breakfast, lunch or dinner with valuable clients and always with a smile on his face. A passion for all the finer things in life continues to motivate the founder of the company and he takes a great pleasure in conversing about fine travel, wristwatches, cars and Japanese Whisky. design by brutus is a boutique Brisbane-based interior design studio, specialising in residential design, workplace design & retail/hospitality fit outs. Our team can assist with kitchen and bathroom design, layout planning, finishes selections, documentation and project administration. We also specialise in property styling for sale and art procurement. Our team has a strong knowledge base, with over sixteen years experience in the interior and architecture industry. Our focus is to create functional spaces that look great and exceed clients expectations. To achieve this, we work closely with our clients to develop a solid understanding of their requirements, along with budget parameters. 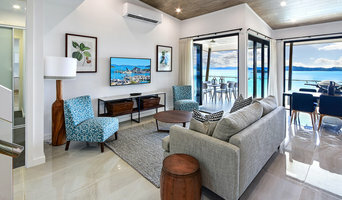 design by brutus' experience includes commercial design, workplace design, boutique fit outs, retail, hospitality, residential design and multi-residential design. We work in collaboration with local Architect Christian Zambelli, and have a good working network to pull together a larger team as required. Design Director Amy Hodges is an Interior Designer with extensive industry experience, designing and delivering a broad range of commercial and residential projects. Her formal qualifications include a Bachelor of Design Studies (Interior Design) and a Bachelor of Arts in Fine Art, both at Griffith University. Amy has worked in small architectural firms as well as large award winning firms in Brisbane and the Sunshine Coast prior to establishing design by brutus. Sustainability, as well as a healthy work or living environment are also important aspects we consider in our design process. We have the responsibility to ensure we make conscious design solutions with minimal impact on the environment. Professional standards and creativity are key contributors to our pursuit of innovative interior design. 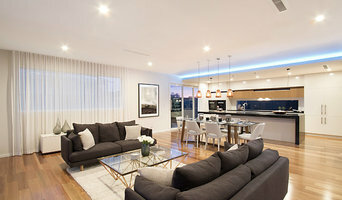 Visit our website at www.designbybrutus.com.au for further inspiration and additional projects we have completed. Futari Design is a Brisbane based creative interior design and styling company, specialising in residential and commercial projects. Boutique Cleveland based interior design studio, focusing on your home with stylish soft furnishings. We custom make curtains and recover cushions to suit your living areas. We also have fabulous collections of cushions online for outdoors and interiors. A leading interior design firm, we know what it means to provide exceptional customer service. We offer clients a unique and innovative approach to all their design needs. From imagination to execution - helping and guiding our clients through the process is our speciality, transforming their dream into reality. We pride ourselves on creating harmonious, timeless spaces that reflect our clients needs and personalities. Arielle Ralph is a qualified Architect and interior designer, combining her understanding of the relationships between internal and external spaces to create a harmonious, functional and creative outcome for your home or workplace. Whether you are looking to renovate, planning to build or to add pre-sale value to your home, Arielle will ensure the transformation of your project is enjoyable and delivers a fantastic outcome in line with your vision. Lena Gatti is a qualified Interior Designer and is the Founder of Gatti Design a boutique Interior Design practice in Brisbane, specialising in medium to high-end residential design. She is wife to Russell and mother to Zackary. Lena’s vision and drive for interiors came from her late father’s longstanding love of Design and Architecture. She grew up in Brisbane in an architecturally designed home in the 70’s, where interior design influences were of Scandinavian designs with rich teak timbers and strong warm colours. The sophistication of the homes architecture, interiors and surrounding landscaped gardens provided a strong foundation for her understanding of and the importance of design from a young age. Her ability to complete complex design and her well-rounded approach to client briefs have established her reputation in the Interior Design industry to one of high attention to detail in technical and creative work, sound knowledge of interior layout, spatial planning, building elements, cabinetry design, materials and their application as well as interior finishes and soft furnishings. Lena has enjoyed mentoring students undertaking the QUT mentorship programme and emerging Interior Design graduates. Her own studies included a Diploma of Interior Design (Technology) and Building Design. She has been a wealth of knowledge for the students. Demiurge Design offers clients a one-stop shop for all things design, specialising in Interior Design and Styling. Please view our ‘services provided’ for more information, colour consulting and event styling is also available! Based in QLD, Demiurge Design works with all size’s, budget’s and timescales and happy to travel to meet your needs! Blok Design Co. was created by Nada Nashed and Jess Kolb to help people create their ultimate property. Their focus has been in offering thoughtful solutions and taking a different approach to interior design. The girls are extremely savvy and have built a business on understanding their clients' needs and delivering projects on time, on budget and tailored to each individual clients brief. Blok Design Co. was launched in 2015 and has grown significantly over the last few years. The Blok Design Co. team is made up of extremely talented and professional staff who encompass the same passion and attention to detail as Nada and Jess. 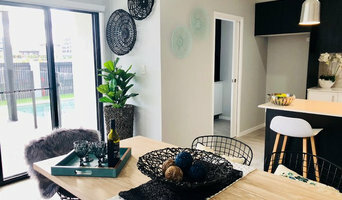 We are customer focused, Interior Designers first and our approach to property styling and interior design is unique to us. We work closely with our clients to deliver on their expectations with a raft of results that speak for themselves. Have you seen the look you want on our website? Probably not… that is because we haven’t created it for you yet. We work closely with you from the first meeting to understand more about you, your style and how you live in each space. We collaborate with you to ensure you are happy and the overall design reflects your personal style, the process just doesn’t work without you! Blok Design Co. offers a range of services across Interior design and decoration in both residential and commercial spaces. We work with a team of highly skilled, professional trades including builders, electricians, plumbers, wallpaper installers and painters. We have access to a large and fabulous range of trade only fabric houses and furniture suppliers to ensure each look is bespoke and tailored to you specifically. At D E S I G N & C O our philosophy is simple - we love interiors, and we want you to love yours too. We want to help with any aspect of your home decor needs, whether you are creating a dream space in your new home or styling your property for sale. The D E S I G N & C O brand was founded by Grainne (Gr-on-ya) Devlin following a career spanning two decades within the building and design industry. 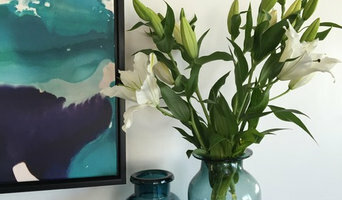 Starting out as an assistant interior designer with Unique Interiors in Northern Ireland, Grainne went on to complete an honours degree in Business, specialising in Building and Facilities Management in the UK, and more recently a Diploma of Interior Design from CATC School of Design in Australia. We are a Queensland based interior decorating and design service run by Christine Cook from the beautiful Brisbane bayside suburb of Manly. Having spent some 25 years consulting to home owners, builders and commercial businesses, Christine established Kingsley Interiors to get back to her roots - creating beautiful spaces to enjoy and relax within. At Kingsley Interiors we believe that homes should be functional and beautiful. So rather than being constrained by standard interior design solutions, we like to get to know how you live and create a home environment that you can be truly proud of. Over 25 years we believe we've become pretty good at it too. So if you live in Brisbane and are looking to enhance your home interior, contact Christine to get the ball rolling.